Every day, people suffer injuries due to the negligence or recklessness of another individual or party. Whether it be the result of auto accidents, a slip or fall, product liability, or another type of accident, personal injury results in financial and mental strains for the victim of these circumstances. As a personal injury attorney who has experience and expertise in a wide range of legal fields, Chris Olsen represents the rights of those who have suffered a personal injury or been affected by the wrongful death of a family member, so that they can receive due financial compensation for the physical, emotional, and financial pain that is suffered. 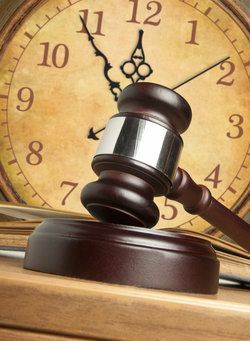 However, in order to ensure that justice is served, it is important to work within the California statutes of limitations, which dictate the time frame in which legal matters must begin to be processed. What Is the Deadline for Filing a Law Suit? Personal injury: These claims must be filed within two years of the date of the injury. If the injury was not immediately noticeable, then a lawsuit must be filed within one year of the discovery of the injury. Property damage: A lawsuit in which compensation is being sought for property damage must be filed within three years after the property damage occurred. Medical malpractice: In the case of a medical malpractice lawsuit, it must be filed either within three years of the date of the injury or within one year of becoming aware of the injury, whichever is the earlier date. It is also important to note that in the case of a medical malpractice, the healthcare provider must be given 90 days’ notice before a lawsuit can be filed. These are statutes of limitations for cases that are typically represented by Chris Olsen. It can be difficult to understand the specific terms of these limitations, however, it is vital that legal action be taken within these time frames or the case will be considered invalid. Working with an attorney such as Mr. Olsen, who understands these statutes of limitations, is vital in ensuring that a client’s lawsuit is filed in a timely manner. Chris Olsen works diligently to gain due financial compensation for his clients when a personal or traumatic injury, or wrongful death has occurred. If you have suffered from such an incident and wonder if you are within the legal timeframe to file a lawsuit, schedule a consultation to discuss the details of your case with Mr. Olsen. We look forward to hearing from you.